Want to take your WordPress theme designs to the next level? 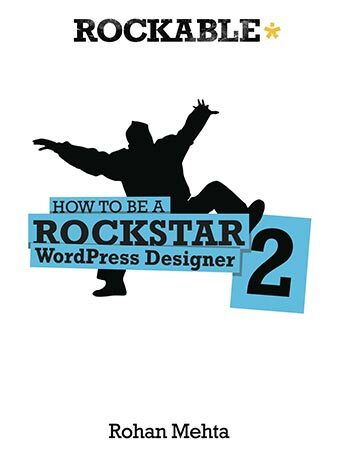 Rockstar WordPress Designer 2 picks up where the original Rockstar WordPress Designer left off and teaches you the advanced tools for WordPress mastery! Rohan Mehta translates his extensive experience as a WordPress developer into a straight-forward, practical guide to advanced WordPress features like custom post types, widgets, and more. WordPress is arguably the biggest, most prevalent content management system on the market. Earlier this year, WordPress.org reported that the WordPress CMS has been downloaded over 32.5 million times. Today, WordPress is no longer regarded as just a blogging tool. Its flexibility and ease of customization has helped WordPress become one of the most popular Content Management Systems (CMS) used in the web design and development industry. Crafting threaded comments, breadcrumb navigation, and more! Once you're done with this book, you will have a thorough grasp of exactly what is needed to make a WordPress theme usable, flexible and useful. What's more, you'll have access to all the project files used during the course of the book! The Rockstar WordPress Designer 2 book comes with a complimentary copy of the full theme and working project files. This includes Photoshop files of the original design, the basic framework which you'll build off of, and the completed theme! Ready to get awesome? Rockstar WordPress Designer 2 is available to all Tuts+ Premium members as part of their membership.